Russians don’t interfere in elections, nor do they interfere in Brexit referendums (anew a very hot topic in Britain), nor do they poison “traitors” gone over to Britain with novichok (an even hotter topic now an innocent couple appears to have come in contact with some residue and are dying in hospital) and the Russians certainly do not shoot passenger planes out of the sky over Ukraine (investigators now even know the name of the man responsible for the order). And seven Republicans just wanted to see some World Cup soccer in Russia. Right! Why don’t the Furies start some crowd funding together with the Democrats and get that huge billboard up on Capitol Hill with that perfect message in neon-letters on it? Make it happen before November 7 and I’ll be glad to chip in. Thanks for another great article on a subject that should have gotten so much more covering, Joanne. The media should know by now that if Drumpf acts like he’s losing it, his administration or the GOP is up to no good when the media’s attention has let itself be lured away from them. Good grief ! Instead of 'celebrating' with their constituents in their home state, on the 4th of July, they get on a plane and go to Russia. W.T.H.???? Do they not care about us, and the US?!? guess not. At taxpayers expense too, I might add. It's not a 'cupcakes and tea' session, Russia is NOT our friend, or of democracy, and they work against our American values overtly. Guess they (the ids who went), forgot about that, eh? smdh!!! and ugh!! 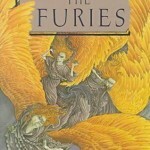 Great post, Joanne, (and Furies), Thanks! Truth is stranger than fiction. it gets harder to follow what's going on everyday between the Fake News and lack of coverage of important events. Why should Russia be engaged, they did their job, and all they have to do now is watch as Dumpy unravels the country, bit by tiny, or not so tiny, bit. After all he’s got the “Business Acumen” with which to do it? and, let’s not forget that he’s going to be meeting with his boss, Putin, soon, for more marching orders. On July 4th, no less! Or is it , as my now corrected typo put it July $th, in rubles.? This would commemorate the source of Dumpy’s financial backers for some decades now.